Jan. 14, 2019, 9:14 p.m.
10 Year Anniversary- This thread is dedicated to the Hardtail Mountain Bike. 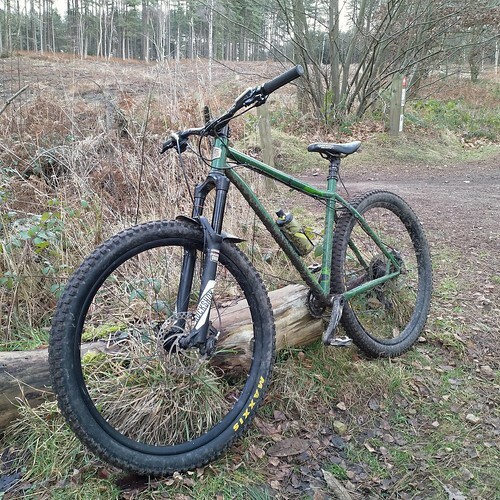 The Hardtail; the simplest form of mountain bike yet it can take on so many forms. Use this thread to post up hardtails and discuss them regardless of wheel size. In 2009 these threads were started and got over 100K views and thousands of posts 2019 makes it 10 years. Hardtails have evolved into trail slaying weapons; show us yours. Jan. 14, 2019, 9:15 p.m.
Jan. 15, 2019, 12:53 a.m. Older steel explosif that still rides nice. The fork is getting long in the tooth tho and I've been considering getting a more modern hardtail like a Honzo. I thought I had a deal secured on a local one but the guy ended up selling it out from under me to some one else. So now I'm back to thinking about upgrading, maybe a new 27.5 fork with lockout and building up a set of 27.5 wheels. There's enough room in the back to go up a size, but I'm not sure if it's worth it as I don't want to beat the crap out of this bike with it being more xc than shore ht oriented. Last edited by: syncro on Jan. 15, 2019, 12:54 a.m., edited 1 time in total. Jan. 15, 2019, 12:25 p.m. Here's my Chromag Rootdown. Every ride I am amazed at the capabilities of this bike....so much fun! Jan. 15, 2019, 9:30 p.m.
Ohhhh, I missed 1st post int he thread.... Oh well. First new hardtail of the year - just arrived at my house. 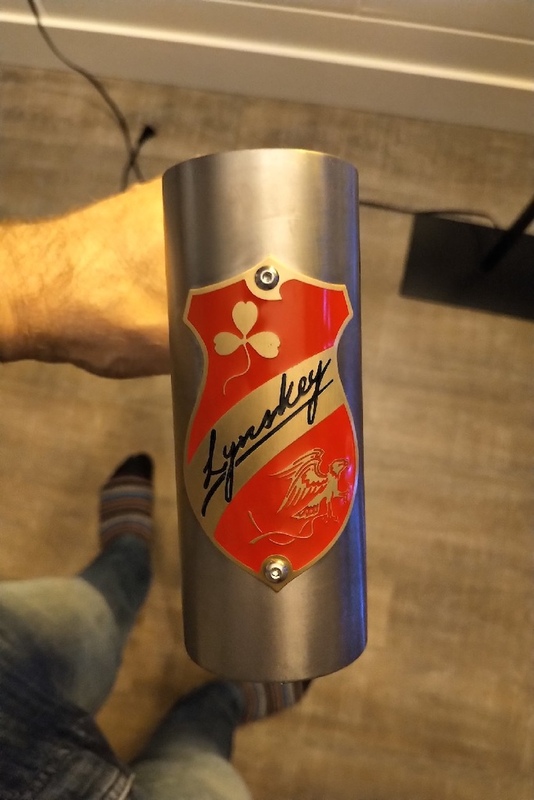 LYNSKEY BOOTLEG - BOOOYAAA! Will post built up photos when complete. Jan. 16, 2019, 7:22 a.m. 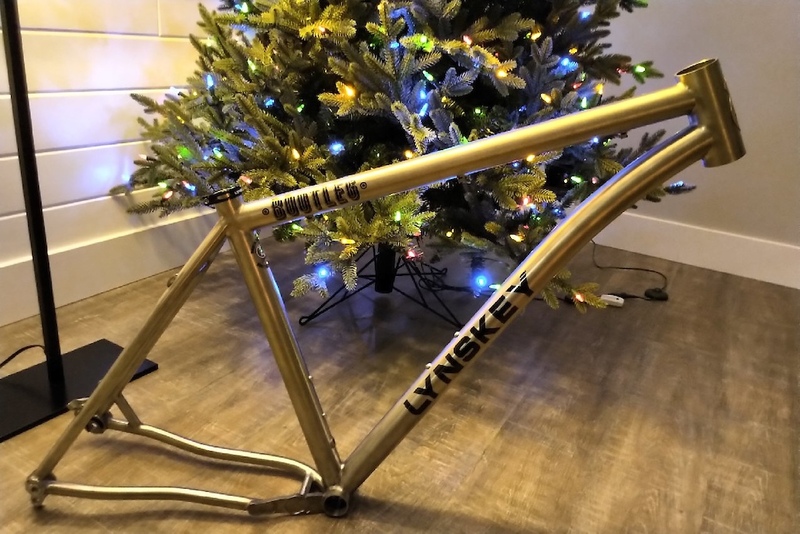 The Lynskey looks sweet! That was a quick turnaround! I was also planned to start this thread out for the year and just missed out. Picked up a 2019 rootdown frame last weekend. Just waiting for parts to arrive for it. Pics soon! Jan. 16, 2019, 7:41 p.m.
Is the appeal of titanium just the weight, or does it have other appealing characteristics like steel? That is the best chainstay. Jan. 16, 2019, 11:13 p.m. This is my second Ti frame. They have all the great ride characteristics of steel but much lighter - like 2 pounds. I had a canfield nimble 9 and once I replaced it with Ti I realized how much the canfield felt like a boat anchor climbing. Also, in general, they last forever, look great without paint and get lots of looks. My feeling is, that if you are going to eschew technology by riding a hardtail, it may as well use classic fabrication techniques and be made in North America. A Chinese made carbon hardtail just feels wrong to me. Jan. 17, 2019, 7:07 p.m. I ride a hardtail because bikes got expensive. I just make up non-sense about enjoying the challenge to make myself feel better. I made the mistake of weighing my bike lately and found that there are some DH race bikes not much heavier. Somebody please hug me and tell me steel hardtails are cool. Last edited by: FlightlessLobster on Jan. 17, 2019, 7:11 p.m., edited 1 time in total. 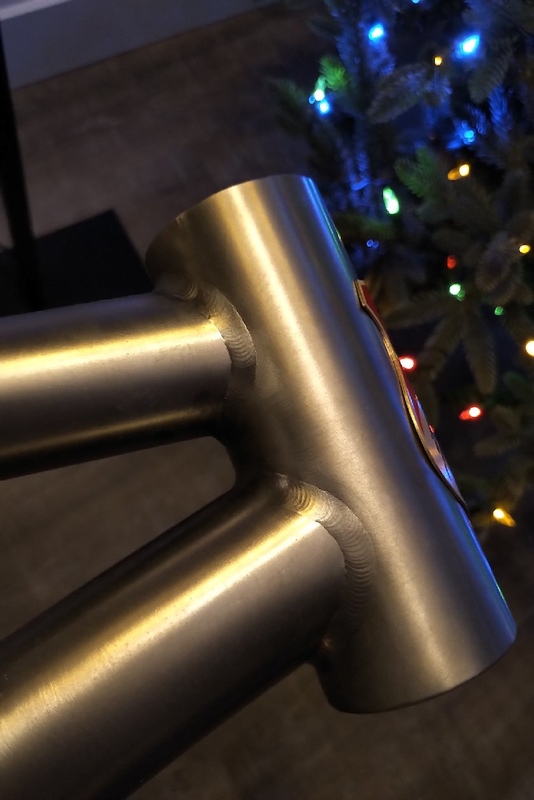 Jan. 17, 2019, 8 p.m.
steel hardtails are cool and anybody that says riding a hardtail isn't a challenging and rewarding experience that's potentially better, albeit different, from full squish bikes probably hasn't put the effort in to learn to ride them well. personally some of my best and most enjoyable riding has been done on a hardtail. Jan. 17, 2019, 11:52 p.m.
Somebody please hug me and tell me steel hardtails are cool. Are you kidding? Hardtails rule. #1 there is nothing like cleaning a tech section on your hardtail while others with their superbikes sit beside the trail watching. #2 it's way more interesting to figure out how to ride a trail rather than have your suspension figure it out for you. 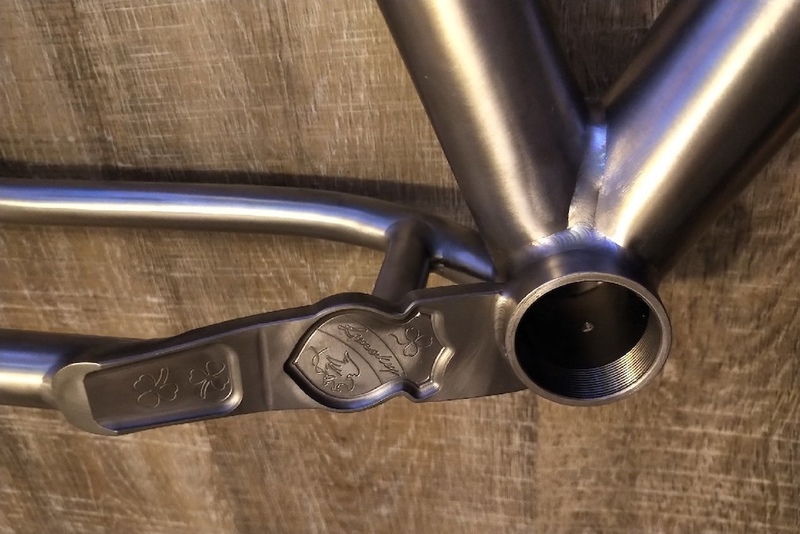 #3 it doesn't really matter what your hardtail is made out of, as long as it is not aluminum. Aluminum is so 1995. Jan. 18, 2019, 8:25 a.m.
Was pondering about changing the current bike (mk1 Rootdown) to something more "modern" ie slacker/lower/boostier/etc and maybe even bouncier in the back, but came the conclusion that I wouldn't sell the Chromag and if I didn't sell it I wouldn't have space for another bike (8 bikes in the garage at the moment) and probably couldn't justify the cost. So the Chromag getting treated to some new parts! Pike RCT on the front is fine and I have couple of reasonable wheelsets so they will be fine too. Probably overly worn drivetrain wear parts will be replaced in the next week to a Sunrace 11-42 cassette, wippermann connex stainless chain and 30T NW ring. Minion DHF 3C maxterra 2.5 tyre will replace the Dual Compound one on the front. There is a Brand X dropper waiting to replace the Reverb for when it's sag gets unmanageable, fresh Race Face Half Nelson grips are on the bench ready to go and I'll get a new FUBAR to replace the nearly 4 year old one for piece of mind if nothing else. I would quite like a Trailmaster LTD saddle but they seem hard to come by in the UK, we'll see. I'll swap the 2 Pot SLX brakes for some 4 Pot XT or Saint at some point too. The 2 pots aren't powerful enough for when things get a bit rowdy and I'm not light at 95kg or so. Will upgrade the rotors too at the same time. Love that green! Instead of going with Shimano...look at Magura's. I replaced my top of the line Saint 820's with Low end Magura's (M5/M3) and am way happier with the power and modulation! Jan. 18, 2019, 10:32 a.m.
personally I like my slightly older school geometry of my Samurai65 (2013 era)...I like slicing and dicing on a maneuverable quick handling bike, I've got a Bronson for my low slack rowdier hauling needs. Jan. 18, 2019, 12:04 p.m.
M/L 2018 Chromag Wideangle with ‘semi +’ 2.6 Magic Mary’s.